For human hair as well as heat-friendly synthetics. Heat Treat Thermal Spray is heat activated and excellent when used with flat irons, curling irons, hot and velcro rollers. 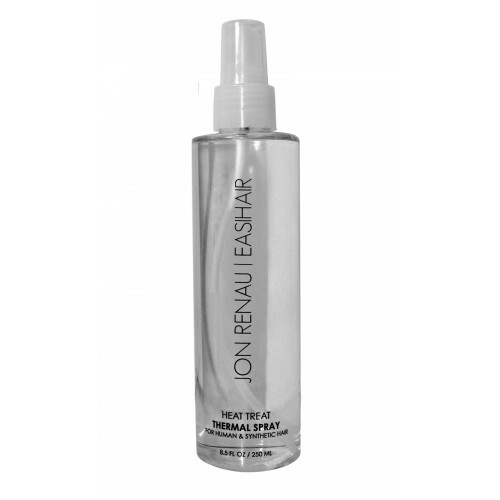 This non-sticking thermal protectant and styling spray prevents hair damage by permitting a clean release from styling tools. Hair is left brushable and volumized.